Virgil Wong is studying the health implications of The Proteus Effect (Yee & Bailenson, 2007) – which describes how people’s actual behavior can be affected by their use of a digital persona. 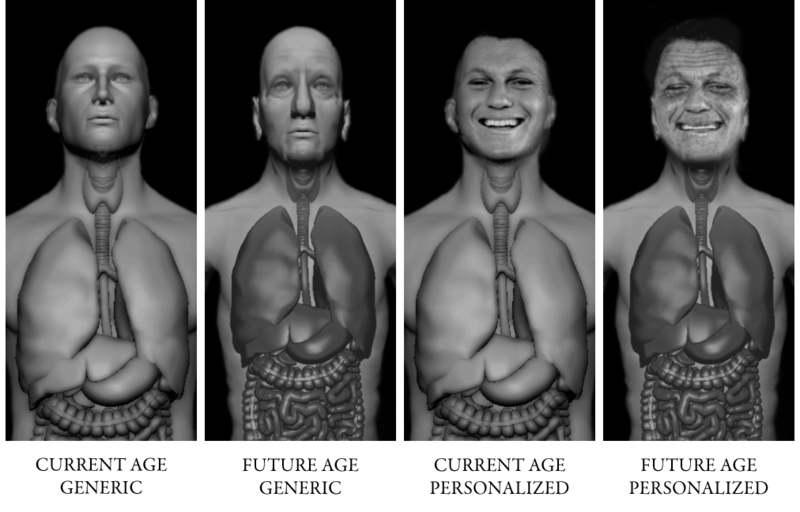 In his current study, Virgil created an iPad app that generates medical avatars of smokers personalized to match their appearance and body type. 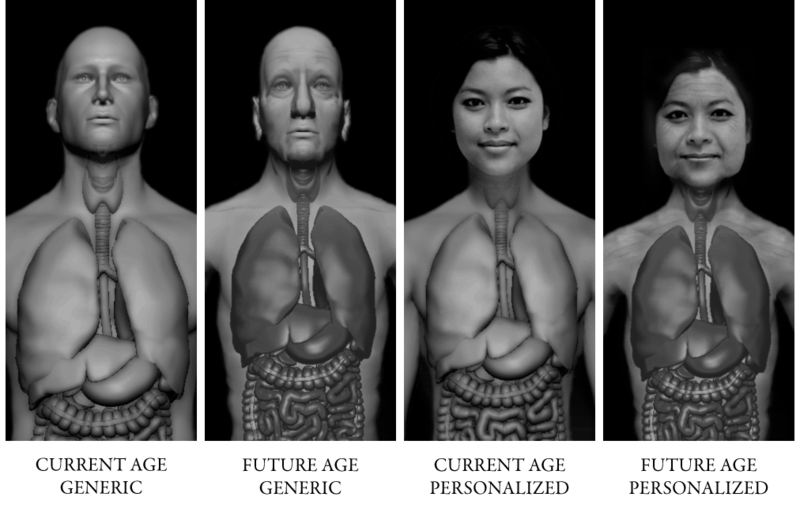 The app creates “time travel” simulations that show study participants the immediate and long-term impact of smoking on both their face and their bodies from the inside out. The effects of quitting smoking are also illustrated. Main and interaction effects between personalization and future self representations are being examined. Knowledge, motivation, and short-term smoking cessation are being measured. Future studies will use the medical avatar to see how body transformation visualizations may improve diet and exercise for obese patients. This research is being conducted at Columbia University Teachers College, Department of Human Development, Program in Cognitive Studies in Education, Concentration in Intelligent Technologies. Yee, N., & Bailenson, J. (2007). The Proteus Effect: The Effect of Transformed Self-Representation on Behavior. Human Communication Research, 33, 271-290.